Almond oil, or, to refer to it by its proper name, sweet almond oil, is derived from sweet almonds, which are common in the Middle East and South Asia. Sweet almonds produce what is known as a “fixed oil,” which can be used for a variety of purposes including moisturizing, according to Susan Soaps, while bitter almonds are responsible for the almond essential oil, which does little more than simply evaporate and is more appropriate for aromatherapy. Research from the Journal of Complementary Therapies in Clinical Practice points to almond oil as having anti-inflammatory, immune boosting and anti-hepatotoxicity (meaning it can protect the liver) properties. The journal also notes that ancient Chinese, Greek, Persian and Ayurvedic civilizations used the oil for dermatological purposes, such as the treatment of eczema and psoriasis, which would suggest that almond oil is a good skin moisturizer. Like many of its oil brethren including argan and jojoba oil, almond oil is high in vitamin E. In fact, it's considered to be among the best food sources for vitamin E, according to Heal with Food. This gives almond oil the additional benefit of being an excellent antioxidant. Almond oil also contains omega-3 fatty acids, magnesium, and zinc. Both magnesium and zinc are considered to be key nutrients for hair. Magnesium facilitates the absorption of nutrients like calcium and also cleanses buildup on the hair, allowing hair to grow. Viviscal points out that Zinc is known for strengthening follicles, balancing and controlling hormones and even possibly helping to form DNA and RNA, making it an essential component of hair growth and hair health. When massaged into the scalp, according to Natural Hair Queen, almond oil can encourage blood flow and promote hair growth. KinkyCurlyCoilyMe praises this as the best method of use. Natural Hair Queen notes that almond oil can also preserve the condition of your scalp from the elements during winter and summer and offers protection from the potential damage of protective styles like wigs and weaves. Almond oil can be utilized as a pre-poo or hot oil treatment before or after you wash your hair. You can also apply it directly to dry hair for added shine or as a sealant to preserve moisture. Remember, if you have a nut allergy, almond oil could cause a reaction and is probably not for you. Naturally Curly notes that almond oil lasts for approximately one year before it needs to be replaced. 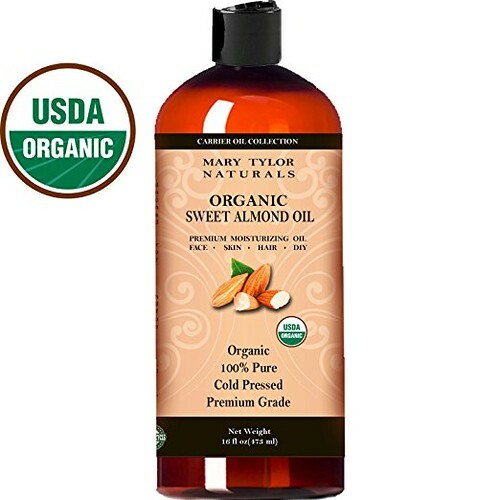 If you're looking for a well-rounded oil that can condition, protect and boost your hair, almond oil is the way to go. Although it may not have the notoriety of other oils and natural hair products, almond oil has cemented its place in the natural hair arsenal and it's not going anywhere soon.